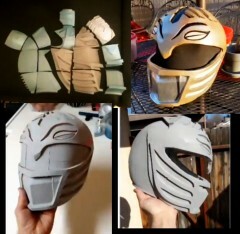 A commission work for a customer who wanted a high quality White Ranger helmet for a suit. He provided lots and LOTS of reference pictures, and I provided the model. Below are the results. 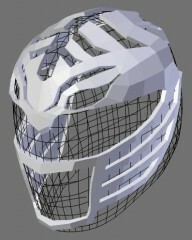 You can download the White Ranger Helmet 3D Model for free. Suggested donation of $8, but don't feel bad if you can't afford it.